It’s that time of year – the Olympic trials begin! I can’t really explain why I have an unnatural love for the Olympics, I’m not really much of a sports fan, but every three and half years I feel like I’m going to Disney World watching the trials and then the events leading up to the Olympics beginning February 7 2014. 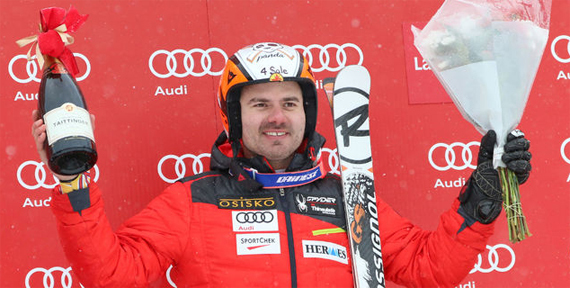 Last weekend while I was watching the men’s skiing trials I watched a man named Jan Hudec. Jan is a 2007 World Champion Silver Medalist, 2 time World Cup Downhill Winner and 2010 Olympian. Jan’s skiing career has had its ups and downs. While he’s experienced victory, he has also experienced defeat. Through it all, Jan has persevered through multiple surgeries and the loss of sponsors. When I watched Jan ski last weekend I noticed on his helmet was a sign that read “4 sale” that’s when the announcer began telling the viewers that Jan had lost sponsors because of his surgeries, and while he had gained some new sponsors, he was still looking for a sponsor to wear on his helmet. The announcer also mentioned that when Jan did not have a sponsor he paid his fees himself – a man not willing to let go of his dream. I was impressed, on so many levels, and reminded that sometimes you need to think outside the box with your marketing efforts. The next time you are trying to come up with creative ways to sell your product, think of Jan, and be inspired. Jan Hudec image credit to the Calgary Sun. Read about Jan’s Olympic journey here or visit Jan’s site.